More than 11,850 new homes across Scotland will be able to get some of the fastest broadband speeds in the UK following a deal between Openreach and the individual site developers. Openreach, Scotland’s digital network business, will build fibre-to-the-premises (FTTP) technology capable of ultrafast speeds up to 1Gbps for properties on the new sites located in Aberdeen (239 homes), Arbroath (287 homes), Balerno (206 homes), Cambuslang (244 homes), Coatbridge (210 homes), Dumbarton (226 homes), Dumfries (200 homes), Dunbar (240 homes), Dunfermline (833 homes), East Kilbride (316 homes), Edinburgh (630 homes), Gartosh (247 homes), Glasgow (860 homes) , Hamilton (273 homes), Inverkeithing (295 homes), Kinross (300 homes), Livingston (223 homes), Paisley (235 homes), Perth (4,803 homes) and Stewarton (228 homes). Full details for each area can be found at the end of this release. 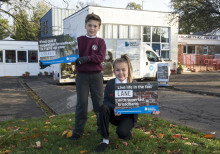 The deal is part of an Openreach initiative supported by the Home Builders Federation and Homes for Scotland, to connect all UK new housing developments of 30 properties or more with ultrafast fibre infrastructure, free of charge to the developer. 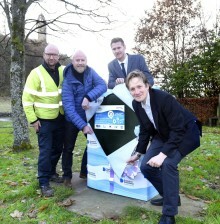 Andrew Hepburn, Openreach fibre roll-out director, Scotland, said: “An ultrafast broadband network will be a major boost for these new communities by ensuring that people living and working there have quick access to some of the fastest speeds available. “The 11,850 homes are in addition to the 9,000 homes Openreach announced in July at a dozen more new sites all over Scotland. It reflects our commitment to ensuring that Scotland has a first-class network, capable of delivering the latest communication services for households, businesses and other organisations. Notes to Editors: As part of ambitious plans to make ultrafast broadband speeds available to 12 million homes and businesses by the end of 2020, Openreach will now build an FTTP network for free to all new housing developments with 30 or more homes. This is dependent on developers registering their site with Openreach and working together early in the building process. Openreach has promised to connect new homes within nine months of contracting with a developer. Any developments with two or more homes will have access to the company’s existing or planned fibre infrastructure, either funded entirely by Openreach or, where necessary, with the help of co-funding from the developer. 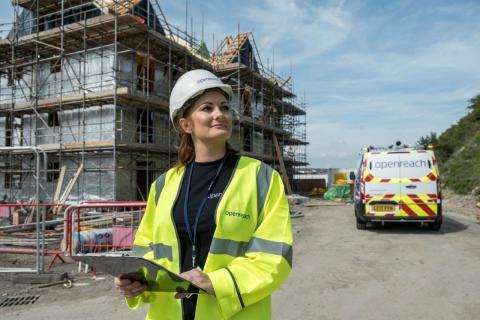 For each new development, Openreach’s dedicated New Sites Reception team will work with developers to check the options for a particular site, and give a clear recommendation on the infrastructure that should be built. Once contracted, a dedicated field based coordinator will work with the developer to lead them through the plan and build process. Find out more about the new build scheme.